UK digital content firm Little Dot Studios has agreed co-financing and global distribution deals with Canada’s CBC and Screen Australia to fund new content for its Real Stories documentary brand. 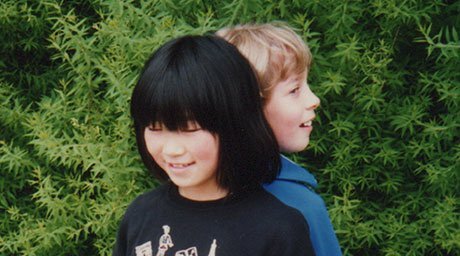 Little Dot will release Finding Fukue, a documentary about a Canadian musician’s search for her long-lost childhood friend, as part of the deal. The film has already attracted large numbers of viewers after its release late last year on CBC Docs platforms. The studio will be able to draw more funding to each documentary and use audience data to maximise global potential for each Real Stories feature. Finding Fukue will go live on the Real Stories YouTube and Facebook Watch platforms from February 14. It was commissioned by CBC’s Lesley Birchard and Real Stories’ Adam Gee and is produced by Canadian outfit Loud Roar Productions. A second co-funded film, Take Me To Prom, looks at the experiences of LGBTQ Canadians as they look back at over six decades’ of prom night experiences and will follow later this year. It is produced by Hands Up Film for CBC Docs and Real Stories. Aided by production funding from Screen Australia, Little Dot has also secured its first Real Stories original series commission. Little Joe (working title) is based on the gritty true stories of a Lebanese debt collector from the suburbs of western Sydney. The 6×10’ series will be directed by David Ratner. Little Dot also provided funding. “Real Stories regularly reaches a daily audience of more than one million viewers and Canada and Australia are consistently in the top five most viewed territories, alongside the US and UK,” said Little Dot CEO Andy Taylor.